My daughter Nele had Dolphin Therapy from 17.09.-01.10.2011 in Marmaris, Turkey. Amongst other things this form of animal-assisted therapy works through ultra waves that the dolphins use for communication. These ultra waves set the child’s brain in an Alpha state; this is a condition which relaxes the brain but also in which the brain has its strongest learning ability. Normally this condition is present only when sleeping, when the day’s experiences are processed. During and after the Dolphin Therapy this state remains retrievable for up to 3 to 6 months, so that the child’s heightened learning ability remains – Tests have shown that the learning ability increases by 10 to 15 times more than normal. For the therapy to be a success the child should also be adequately encouraged after the therapy. This is why I am so happy that Nele is now at school – in an open-minded and dedicated school – where there are many supportive facilities and especially very good care. 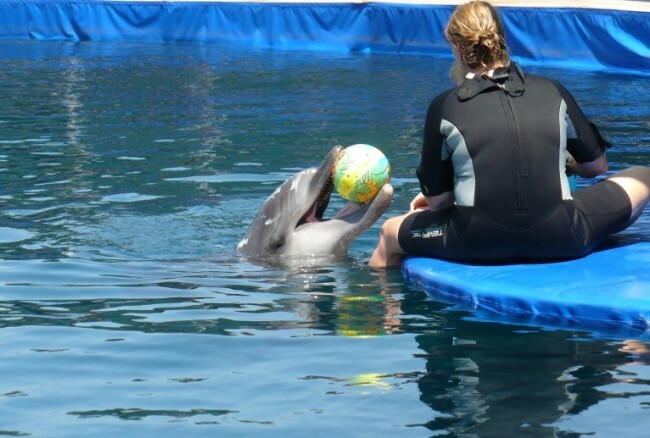 Even during the therapy, which comprised Dolphin Therapy, Hippo Therapy, Physiotherapy and daily swimming in the pool and sea, positive results became evident. Neles mouth movements are altogether more versatile, more frequent and more self-induced – when her mouth moves uncontrollably and one remarks on it she can pull herself together and mostly enable herself to drink,…. Nele begins to concentrate on other things such as toys, lights, looking around and grasping rather than just standing in her stand support. 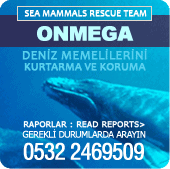 These successes are for us inconceivable, phenomenal, and we hope that next year, after the second hip operation that will certainly set Nele back a bit, we will be able to take part in another Dolphin Therapy in Marmaris. I can wait to enjoy the Dolphin thearphy and it is exciting to enjoyed.